I'm not going to lie to you. I've hated Safari for quite some time. Shortly after I first opened it I realized that browsing the web with Safari was like looking at the world while hung over. Not only were the most mundane of activities painful, everything rendered looked miserable and queasy. Last night I unwittingly downloaded an update for OS X Tiger which included (among other things) Safari 3.0. 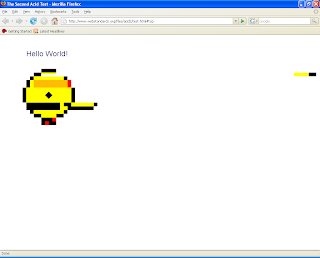 To my surprise the browser actually works quite well. I was actually blown away when I found out that all the WYSIWYG editors that used to fail miserably in Safari 2 work wonderfully in Safari 3.0. Even the text editor that I'm using to write this blog normally fails terribly in Safari, but no more! Two other text editors that I'm fans of, TinyMCE and the FCKeditor also both work extremely well with Safari 3.0. What surprised me even more after I started digging around for material for this blog entry was that Safari has actually had extremely strong CSS support since version 2.0. 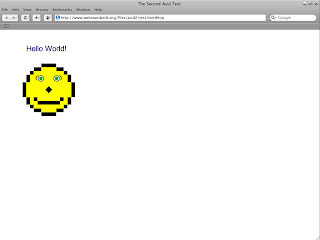 I found this page which has actually been tracking Acid 2 Test performance for major browsers for quite some time. 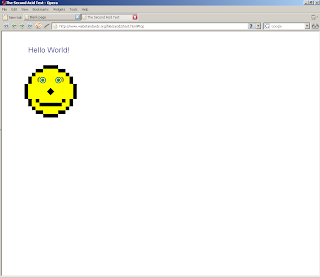 Imagine my surprise when I found out that both IE and Firefox STILL don't pass the Acid 2 test. That being said, the Acid 2 test isn't a measure of everything that's important for a good browser, but as a developer I can't help but shake my head at the test renders from both IE 7 and Firefox 2.0. One day I'd like to be able to write CSS without being paranoid as to how it's going to render in other browsers. 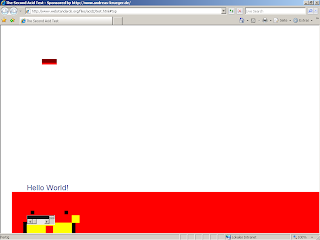 If you have any interest, this is how the Acid 2 Test currently renders in the IE 7, FireFox 2.0, Opera 9.0 and Safari 3.0. It's worth mention that this blog entry was written entirely in Safari 3.0. I can only hope that Safari 3.0 gets rolled out quickly and enjoys tremendous Mac user adoption. Kudos to Apple for finally releasing a half decent browser with OS X.